How to book 300/- special entry Ticket. Sri Malayappaswami, Sridevi and Bhudevi are seated in an unjal (Swing) in the Aina Mahal (Addala Mantapam) opposite Ranganayaka mantapam. it is enchanting to see the gorgeous reflections of the Lord's glorious presence every where. 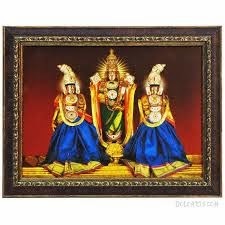 The deities are swung to the accompaniment of Veda parayanam and mangalavadyam. This is an arjita seva an the devotees are admitted on payment of requisite fee. For further details contract our call centre: 0877-2277777,2233333. We have a booking for unjal seva , Can we take our 11 year old child for this seva ? Is Kurta Pyjama ok as a dress for this seva ? The Darshan of Main Deity is before or after the seva?